Hollywood executive are a forward-thinking bunch. Production on the Kickboxer remake hasn’t even begun yet but Headmon Entertainment and Acme Rocket Fuel, the companies behind the shoot, have now revealed that funding is in place for the sequel. In fact, they’ve already ear-marked a title for the follow-up too, revealing that it will be called Kickboxer 2: Retaliation. Clearly, Acme Rocket Fuel – which I still can’t decide is either the best or worst name for a burgeoning studio that I’ve ever heard – want the Kickboxer franchise to be the lynchpin of their slate. Both Kickboxer Vengeance and Kickboxer 2: Retaliation will be the first two projects for them. However, most of the money to finance Kickboxer 2: Retaliation is coming from Headmon Entertainment. 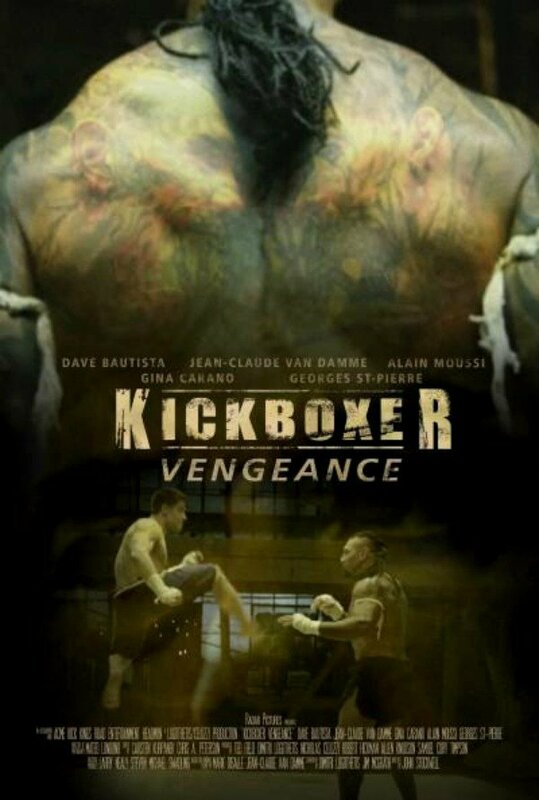 There’s a nice buzz growing about Kickboxer Vengeance. The original 1989 Kickboxer film is probably the dictionary definition of a cult classic, while it’s also the definitive Jean Claude Van Damme film. And while it’s undoubtedly dumb, painstakingly cheesy, and offensively stereotypical, it’s still a great watch. Kickboxer sees Jeane-Claude Van Damme star as Kurt Sloane, who looks to avenge the death of his brother, Eric, played by Dennis Alexio. Eric is left paralyzed by an unrelenting fighter, which provokes Kurt to vow vengeance. Cue Van Damme training hard, making mistakes, but learning from it all to get his rewards. I’m tearing up just thinking about it. But while your first thought will probably be that this remake is going to be utterly lame, there’s actually hope that Kickboxer Vengeance could be worthwhile. Alain Moussi, a stuntman who has previously worked on the likes of X-Men: Days Of Future Past and also starred in White House Down, is going to take the role of Kurt Sloane. But most importantly, Jean Claude Van Damme has signed up to play the role of Sloan’s mentor, Master Durand. Surely the nostalgia value alone is going to entice enough people to watch the film so that it can make its money back. Well, for the first one anyway. They’re clearly jumping before they can walk with their plans for the follow-up. Meanwhile, there’s also an impressive array of guest-stars for its ensemble too, with Spectre and Guardians Of The Galaxy’s Dave Bautista, Haywire’s Gina Carano, and UFC champion George St. Pierre on-board to join in the fun too. Excited? Well you only have a few short months to wait until its release as Kickboxer Vengeance will be with us at some point in 2016.